Pen and Paper: BOOKS READ: 2013. 132 books or approximately 40,893 pages read meaning, on average I read 11 books a months or, if you prefer, 2.5 books a week or, to be even more precise, 112 pages a day. THE MAN WHO FORGOT HIS WIFE by John O'Farrell. THE MOZART QUESTION by Michael Morpurgo (click on above link for review). CHRIST THE LORD: THE ROAD TO CANA by Anne Rice. THE BOOK OF LOVE by Kathleen McGowan. WEIRDO. MOSHER. FREAK: IF ONLY THEY'D STOPPED AT NAME CALLING by Catherine Smyth. MISERY BEAR'S GUIDE TO LOVE & HEARTBREAK by Misery Bear. THE RAGING QUIET by Sherryl Jordan. SHAKESPEARE'S TROLLOP by Charlaine Harris. THE WERELING #2: PREY by Stephen Cole. THE APPRENTICE (RIZZOLI & ISLES #2) by Tess Gerritsen. SACRED HEARTS by Sarah Dunnant. A LION AMONG MEN by Gregory Maguire. BONE QUILL by John & Carole E Barrowman. THE FINEST TYPE OF ENGLISH WOMANHOOD by Rachel Heath. ROOTS OF EVIL by Sarah Rayne. THE TALE OF HILL TOP FARM by Susan Wittig Albert. CARAVANS AND WEDDING BANDS: MEMORIES OF A ROMANY LIFE by Eva Petulengro. DRAMA COMES TO PRIOR'S FORD by Eve Houston. THE SUMMER WITHOUT MEN by Siri Hustvedt. OSCAR WILDE AND THE CANDLELIGHT MURDERS by Gyles Brandreth. THE MAMMY by Brendan O'Carroll. CATS IN THE NEWS by Martyn Lewis. FIFTY IS NOT A FOUR LETTER WORD by Linda Kelsey. FINDING RACHEL DAVENPORT by Michael Harling. LITTLE FACE by Sophie Hannah. WHERE DO COMEDIANS GO WHEN THEY DIE by Milton Jones. LITTLE WOMEN by Louisa M Alcott. BONE CROSSED by Patricia Briggs. THE PLEASURE SEEKERSby Tishani Doshi. THE GOATWOMAN OF SMACKOVER: A ARKANSAS LEGEND by Ramona Wood. UPON THE MIDNIGHT CLEAR by Sherrilyn Kenyon. 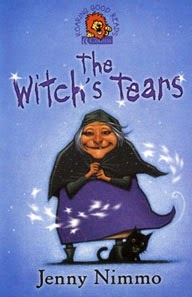 THE WITCH'S TEARS by Jenny Nimmo. BRYANT & MAY ON THE LOOSE by Christopher Fowler. HOTEL JULIET by Belinda Seaward. THE PAST IS MYSELF by Christabel Bielenberg. * Read for a book challenge(s). ** Read and reviewed on behalf of an author/publisher/magazine. My favourite read(s): The Secret DMS Files Of Fairday Morrow: Though aimed at the younger reader I'm sure this will be enjoyed by many. The Raging Quiet: One of the most beautiful and poignant books I've ever read. 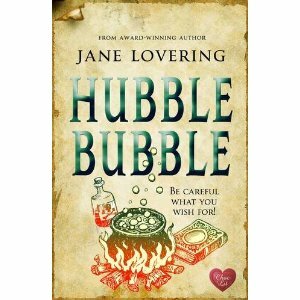 Bone Quill: Even better than the previous book in the series. Last Train To Omaha: Such a memorable story, the characters will stay with me for a long time.The Night Flower: An exceptional read. Swimming In The Moon: Historically rich on all levels, I felt the author did exceptionally well to touch on so many issues whilst managing to maintain my interest throughout. In Bloom: One of if not my favourite reads of 2013. My least favourite read(s): The Black Dahlia: The most vile book I have ever read. The Summer Without Men. Another Reading Group read, another nil point, The Summer Without Men. Trying too hard to be clever? A New Science Of Navigation: Perhaps a cult read of the future but I just didn't get it. Best loved character(s): Fairday Morrow (The Secret DMS Files Of Fairday Morrow): A great heroine, I loved her spirit and sense of adventure. Marnie, Raven, and Father Brannan (The Raging Quiet): Wonderful characters each and every one of them. The charismatic war veteran Martin Diggs (Last Train To Omaha) will stay with me for a long time to come. Carson Calley (Black Crow White Lie): I'm still trying to work out if I liked this twelve year old because of or despite his flaws. Best villain(s): 'Cop-killer and torturer' Yaroslav (Gimme Shelter): Simply chilling. The Reverend and his son (The Night Flower): A supposedly 'Christian' man and yet such a hypocrite. Mother and son, Vivienne and David (Little Face): If not entirely believable they were still sinister. Book(s) I was most disappointed by: Sacred Hearts: On my wish list for longer than I care to think about, thank goodness I didn't actually buy a copy. Where Do Comedians Go When They Die: A huge of the comedian I was expecting more of this his first novel.The Storyteller: I was hoping for so much more from this. Book(s) that most surprised me: And The Soft Wind Blows: Not knowing what to expect of what the author described as poetic fiction, I really enjoyed it. 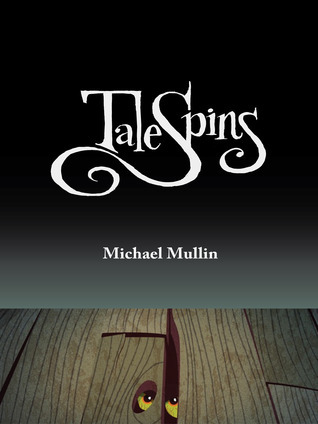 TaleSpins: Re-tellings and poetry aren't normally my thing but I loved this little book. For Whom The Book Tells: At times lewd but thanks to the authors clever use of words and his book references I enjoyed this far more than I'd anticipated. Best book(s) that form a series: Double Click: It was great to catch up with Renee and co. Bone Quill: So much stronger than the first book. Nostalgic read(s): Paddington Races Ahead. Spotlighting several of their favourite 2013 book reviews THE SECRET DMS FILES OF FAIRDAY MORROW. PS. My Media Monday posts will resume next Monday. An excellent reading wrap-up post. A few of them I've read, some I'm still thinking about, others are already on my shelf (or in my Kindle) on your recommendation. Now I'm off to check out some of the other wrap-ups. Thanks for providing the links. I love this summary post Tracy, I really enjoyed reading it. TaleSpins is a fab book cover, love the simplicity of it and the stylish font for the title. I'm hoping to read The Storyteller soon, I've seen mixed reviews. Thanks very much for including a link to my year end post too! I hope you have many wonderful reads in 2014. 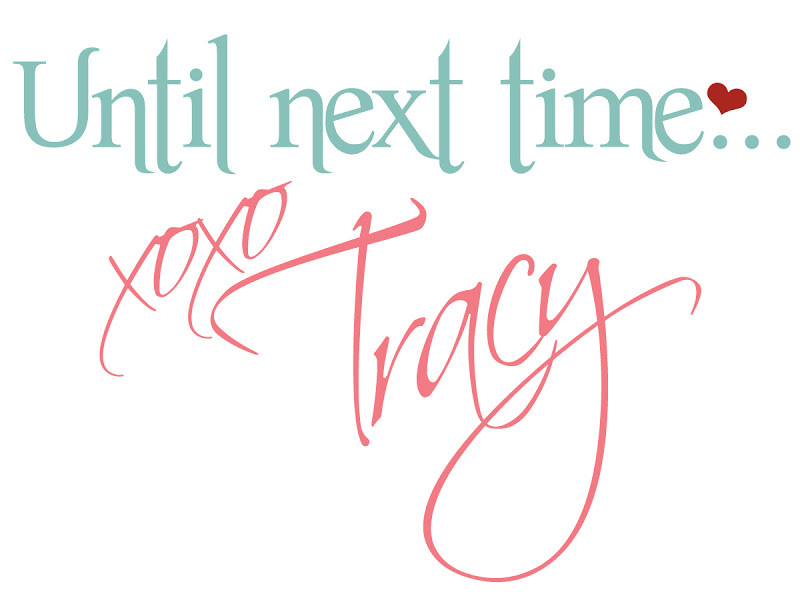 Wonderful wrap-up of your year in reading, Tracy! 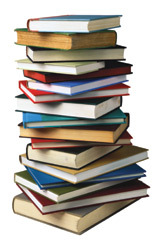 11 books a month is quite remarkable--you are obviously an avid and fast reader. I hope the new year is your best yet, reading wise. I do like these summary posts on people's blogs. You got a lot of reading in last year! What a great post and what an impressive list of titles read this year, I won't and can't compete, or even come close to it! I see that in May, you read 'Zaremba' by Michelle Granas and it seems from your review, that you quite enjoyed it. I have literally just opened the Kindle file for this book, so hope to get stuck into it tomorrow. One of the books which most surprised you was 'And The Soft Wind Blows', which I also have in my review pile, so I am quite looking forward to reading it now, as I admit I wasn't too sure what to expect. It sounds like you had a wonderful reading year, Tracy! I hope to read Swimming in the Moon at some point. It sounds so good! Have a Happy New Year! Here's to more great reading in 2014.
reading year! And you read so many interesting books! You're a faster reader than I am, and have inspired me to try to read more in 2014. Here's to a great year! I am jealous over the number of books that you have read. Interesting comment about The Black Dahlia. I have heard that it was a very disturbing book. Impressive number of books read! I hope 2014 will be a great reading year. Wow! You read a ton of books in 2013. Awesome to see your list. I am over the top excited that The Secret DMS Files of Fairday Morrow was one of your favorites and that you loved Fairday. Yeah! I am jumping up and down right now. :) Thanks so much for putting a big smile on my face. I would love to go through and do mine. Of yours I have read 2 and have a few on my tbr.